Please note:- batteries are not included, this a Milwaukee charger unit only. 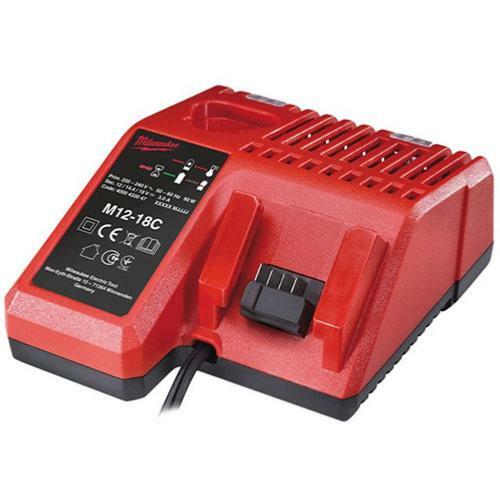 The Milwaukee M12-M18 multi charger is the one stop charger for all your Red Lithium Ion batteries therefore minimising the need for extra chargers on site. It charges M18 and M12 packs sequentially (first in, first to charge) requiring less time to manage charging cycles. It can charge a 3.0Ah in approx 60 minutes and 1.5Ah in approx 30 minutes.